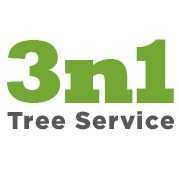 3n1 Tree Service can handle all of your tree service needs. We are focused on providing high-quality service, affordable prices, and most importantly, customer satisfaction. From tree removal, tree trimming, stump removal, and debris removal to simply supplying customers with firewood, we will do everything we can to exceed your expectations. We paint both commercial and residential properties. Licensed and Insured. Call Tasha @ (740) 412-2862 for free estimate.